Looking towards the future can bring up many anxieties and questions. Life has so many options and it can be difficult to know what choices are the right ones. 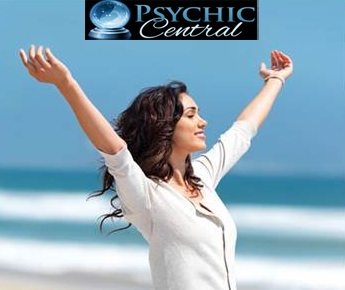 A live psychic reading is a great way to ease your anxieties about the future and guide you in the right direction. A phone psychic is convenient and ready to listen to you—and they can help you in discovering the unmet potential in your life. A live psychic reading is when you and your psychic—whether on the phone, in person, or online—communicate and find answers to any of your questions. The clairvoyant will read your aura and interpret any signs he or she receives from your energy. Distance does not affect this process, and so it can be done anywhere. A psychic can assist you in so many areas of your life. Whether you need help fixing or getting into a romantic relationship, improving your financial situation, or improving any area of your life, a psychic can reveal why something has not gone right and what you can do to change it. You can even bring up topics like parenting, bad habits, or a failed diet. What Questions Should You Ask During Your Session? To make the most out of your time during your reading you should try asking the most burning questions you have about your life. In fact, having a premade list of these questions can help keep you on topic and is highly recommended. The excitement and emotions caused by a reading can quickly throw anyone off course. To avoid any disappointment at having realized you did not ask the questions you meant to, think carefully and write them down before contacting your psychic. • How Can I Live Up To My Full Potential? • What Do I Need To Know About The Most Right Now? • What Do I Do To Find Love Or Better My Current Relationship? The quality of the questions you ask determines the quality of your psychic reading. Make sure to ask about the topics that are causing distress or confusion in your life. A clairvoyant can assist you in confronting your issues and helping you pave the way for a more fulfilling life. Contact a phone psychic for a live reading from the comfort of your own home, and change your life for the better today!